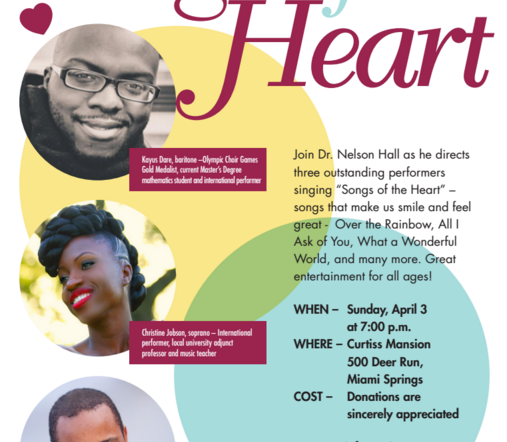 Join Dr. Nelson Hall as he directs three outstanding performers singing “Songs of the Heart” – songs that make us smile and feel great – Over the Rainbow, All I Ask of You, What a Wonderful World, and many more. Great entertainment for all ages! PLUS a surprise performance by Florida Memorial University students. WHEN – Sunday, April 3 at 7:00 p.m.
For more information, please call 305-869-5180.